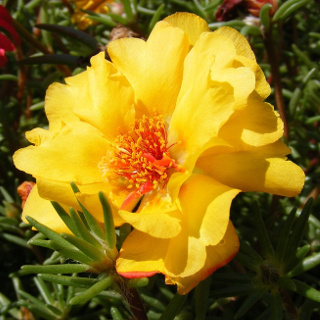 Sunnybank is a mix of double-flowered Portulaca grandiflora varieties in white, cream, yellow, orange, red, pink, purple and variegated flower colours. Drought-tolerant. Approximately 1000 seeds per packet.